Clipping Chix: NEW!!! La Croix Curate 8-Pack $1.25/1 Printable Coupon! NEW!!! 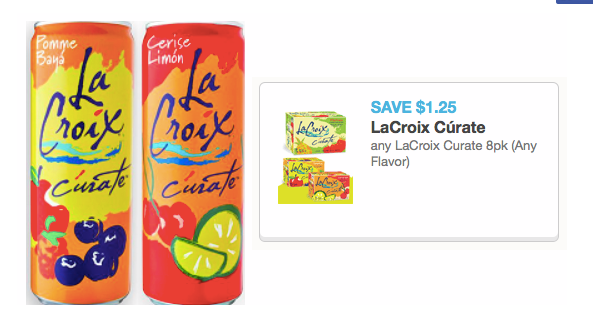 La Croix Curate 8-Pack $1.25/1 Printable Coupon! Hurry on over to Coupons.com to print a NEW and high value $1.25/1 LaCroix Curate 8-pack (any flavor) coupon! Remember, you can print two coupons per computer too! !